In a competitive marketplace, you need to provide your customers with consistent, high-quality, contaminant-free products. 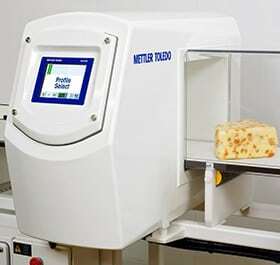 METTLER TOLEDO Safeline’s metal detection conveyor systems provide flexible inspection solutions to suit a wide range of light to heavy-duty food and non-food applications. 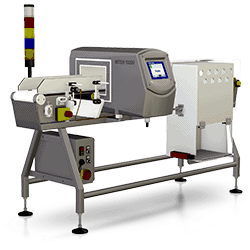 All METTLER TOLEDO Safeline rectangular metal detection heads can be integrated with standard or bespoke conveyor systems in order to fully automate product inspection processes. Systems can be designed and built to suit your specific process requirements; these range from simple stop-on-detection systems through to fully automated detect-and-reject systems, utilising a wide range of product removal devices. 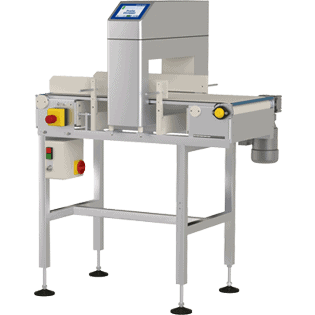 Conveyorised metal detectors provide flexible solutions capable of operating in almost any working environment. So whether your product is wet or dry, chilled or frozen, loose or packed, Safeline’s range of flexible metal detection conveyor systems can answer your food inspection challenges. Installation of a metal detection system reduces risk, but the chance of metal contaminants reaching end consumers can still be high. Research points to procedural and system failure rather than metal detector failure as the main cause; however, the ‘due diligence’ enhancement improves the level of control and management of the inspection system – which ensures that the critical control point (CCP) delivers high-performance metal detection and an increased level of fail-safe functionality. A choice of system types (with the ability to configure feature sets to suit your processes) ensures that your detector is totally future-proof, with the ability to grow alongside your business needs. All systems incorporate robust construction standards so as to provide reliable, consistent on-line performance regardless of the working environment. Incorporating the build quality you would expect from a SAFELINE metal detection system, Profile Compact S30 provides a flexible, space saving product inspection solution suited to a wide range of packed product applications. The fully integrated system delivers optimum metal contaminant detection in order to satisfy the demands of legal, regulatory and industry standard requirements. High sensitivity to all types of metal contamination ensures product quality standards are maintained protecting the welfare of your customers and providing complete peace of mind for you and your organisation. Intuitive Interface Full colour, touch screen interface with icon driven windows style display provides easy, intuitive operation. Single-Pass set up routines ensure uptime is maximised by reducing the time required to change products. Change-Free Single Setting Operation Change-Free running mode provides single setting operation for multiple products to eliminate the need to change settings between product batches. Permanent Condition Monitoring Advanced Condition Monitoring technology constantly analyses the performance of major syst components. Adverse tren are highlighted as an early warning in advance of possible system failure in order to maximise process uptime.